Parliamentary reply: 3707 unaccompanied refugee children have gone missing. The UK should not say they are not welcome here. 2015 The Year of the Refugees – “just put yourself in their shoes” – Full House of Lords debate and Government response. And a view from a North Korean refugee. 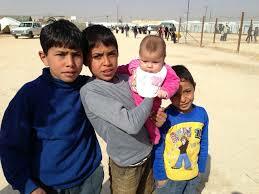 Why is the UK not providing refuge for unaccompanied children fleeing Syria? They say “Making an exception for children makes little sense” . This is not about “numbers” but about the most vulnerable and the most at risk. Last year some 13,026 children arrived unaccompanied in Italy in 2014. It is now reported that 3,707 disappeared after arriving. Disappeared into what? Human trafficking, exploitation, servitude, criminal gangs, terrorist groups? 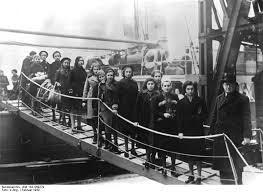 Under international law Governments have a special duty to children and unaccompanied minors.They should remember the Kindertransport which rescued children from the clutches of the Nazis and do the same. The UK recognises the need to provide protection to those fleeing persecution. 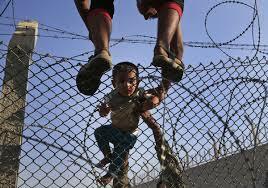 However, it is an accepted principle that asylum seekers should seek protection in the first safe country they reach. In line with their international obligations, EU Member States have a responsibility to register and process all asylum claims made on their territory, including those made by unaccompanied children. This extends to providing adequate support and accommodation. The Government has been consistently clear that we do not agree with the relocation of asylum seekers between Member States. We believe it will act as a pull factor, and that it does not address the cause of the problem but simply moves it around the EU. Making an exception for children makes little sense as they are on the territory of Member States who have duties to protect and support them. Date and time of answer: 02 Nov 2015 at 17:08. Footnote to the debate which follows: What struck me about the Minister’s reply to the debate was that he said we needed to be ambitious in our thinking but then said little to suggest either ambition or an appreciation of the sheer scale of this crisis. Is it so far-fetched to imagine creating some new city states – backed by the equivalent of a Marshall Aid Programme – where fleeing migrants could rebuild their lives and be given some sense of hope? Would this be so very different to those Scots who went to Nova Scotia, the Irish who fled famine to make new homes in America, the Welsh migrants who went to Patagonia, or the English who settled in Australia, Canada and so many parts of the world? An internationally protected safe haven with opportunities for work and prosperity would also be the perfect answer to the world’s other new State – Daesh’s caliphate: Islamic State. A safe haven – like those we created in the eighteenth century in Freetown, Sierra Leone, and the home created by the U.S. for freed slaves in Liberia – would offer an alternative to destitution, exploitation, years in refugee camps or death at sea. A North African safe haven might be linked to the suggestion of turning the Sahara into a massive solar energy producing resource – a huge job creating opportunity which would also combat carbon emissions and reduce reliance on despots who sell us their oil and gas. Yes it’s “ambitious” to think like this but if we ask ourselves the question, what must it be like to be at the mercy of ISIS or to be living in the shadow of tyranny and unspeakable violence, wouldn’t we also want to try and get our loved ones to safety or want to make a better life? Just put yourself in their shoes. Following the debate, Ministers from across Whitehall are to meet to discuss the crisis. They, too, need to put themselves into the shoes of the millions on the move – in what will surely become known as the year of the refugees – and do more than erect a high wire fence at Calais. That this House takes note of the displacement of refugees and migrants from Asia and Africa and to the long-term and short-term measures to address their plight. Lord Alton of Liverpool (CB): My Lords, I thank my noble friends on the Cross Benches for choosing this Motion for debate, along with all noble Lords who will speak today, and the staff of the House of Lords Library for their excellent briefing note. In returning to a crisis which we briefly addressed in Grand Committee on 18 June, there are three things which I want to address: first, the scale of the challenge; secondly the circumstances which prevail in the countries from which migrants originate; and thirdly, our response. In 1938, after Kristallnacht, and the attempts of many Jews to flee Nazism, the remarkable Independent Member of Parliament, Eleanor Rathbone, known as the refugees’ MP, and noted for her hostility to appeasement, established the Parliamentary Committee on Refugees. Two years later, on 10 July 1940, in a six-hour debate, she intervened no fewer than 20 times to insist that Britain had a duty of care for the refugees being hunted down by the Nazis. 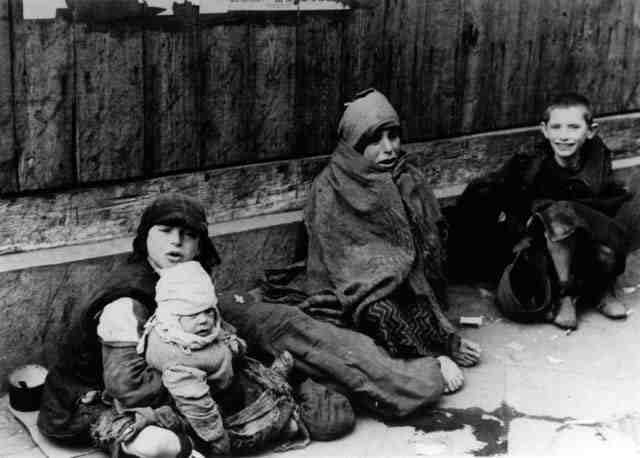 She said that a nation had an obligation to give succour to those fleeing persecution, and in her words, “not only in the interests of humanity and of the refugees, but in the interests of security itself”.—[ Official Report , Commons, 10/7/40; col. 1212.] We might bear in mind those words as we reflect on the debate that she initiated. She said that those debates, “always begin with an acknowledgement of the terrible nature of the problem and expressions of sympathy with the victims. Then comes a tribute to the work of the voluntary organisations. Then some account of the small leisurely steps taken by the Government. Next, a recital of the obstacles—fear of anti-semitism, or the jealousy of the unemployed, or of encouraging other nations to offload their Jews on to us”. 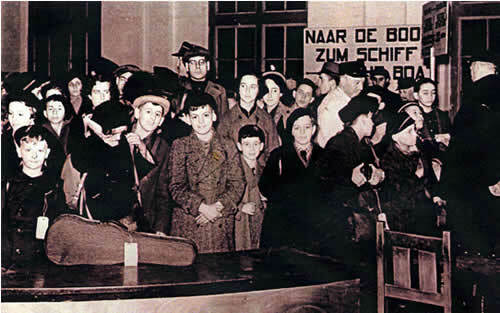 We may no longer be dealing with Jewish refugees, but there are many parallels. Perhaps her hard-headed humanitarianism should form the backdrop to our debate, which is taking place in the context of the largest movement of peoples since World War II. I turn to the scale of the challenge facing us. At the conclusion of 2014, the United Nations’ refugee agency, the UNHCR, reported that, worldwide, 54.9 million people were refugees, asylum seekers or internally displaced persons, with a further 59.5 million forcibly displaced. 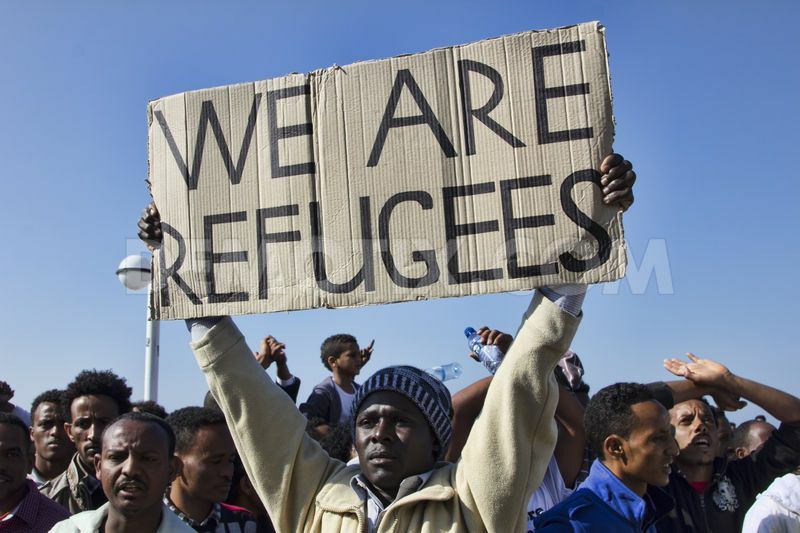 The UNHCR says that Africa has 4.6 million refugees and 10 million internally displaced people under its mandate. Darfur alone, where I visited refugee camps, has seen the loss of 300,000 lives, more than 2 million displaced, with 400,000 more IDPs added last year alone. 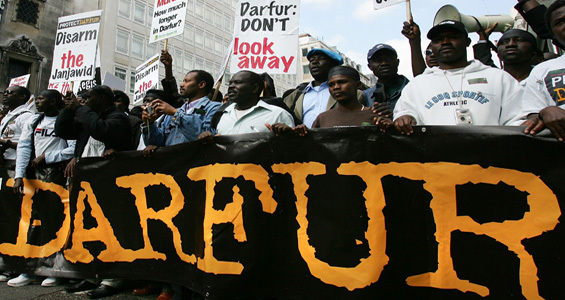 Darfur: 300,000 dead; 2 million displaced – 400,000 more last year. In Asia, there are 9 million refugees and 15 million internally displaced people. Afghanistan generates the second largest number of refugees worldwide, while Burma is awash with refugees, including thousands of Rohingyas, cast adrift in rickety boats in the Andaman Sea. 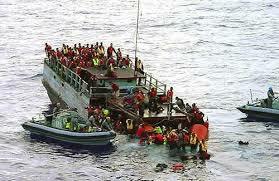 These new boat people bring to mind the Vietnamese boat people, whose camps I visited as a young MP. I also served as president of Karenaid. Last week the noble Earl, the Minister, confirmed that there are 110,094 Karen refugees in camps, which I visited on the Burmese border. Some have been there for decades. Will the noble Earl say whether we are talking to ASEAN about developing a strategy for that region’s refugees and what practical help we are giving to search, rescue and resettlement? crime and terrorist organisations such as ISIS. Will the noble Earl tell us how many of these profiteers have been arrested or prosecuted? Italy has spent some €800 million on rescue operations and in camps such as Lampedusa. Matteo Renzi, Italy’s Prime Minister, rightly describes the EU’s collective response as “largely insufficient”. Italy and Greece are inundated with refugees, and now a land route has opened between Turkey, Macedonia and Serbia, with an estimated 60,000 people illegally entering Hungary in 2015. As recently as Tuesday, 19 died when a smuggler’s boat heading for Greece capsized. Last week, Hungary indefinitely suspended EU asylum rules and is considering erecting high fences along its borders, in a Europe which once rejoiced in the smashing down of walls. 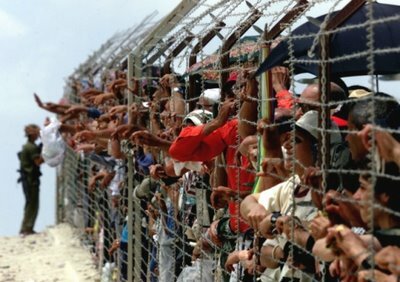 But is that so very different from the high-security fences being erected in Calais, where, in the course of just four hours, 350 stowaways were evicted from British-bound lorries in scenes reminiscent of bedlam? Fifteen people living in makeshift camps in Calais have died in the last 12 months. This week, we heard of a further death of someone on a cross-channel freight train. FRONTEX, the European border agency, says that it is completely overwhelmed, and with Italy also threatening to disregard the Schengen rules it is clear that no one country can deal with this crisis and that it requires careful reflection about free movement. It is a global crisis in need of global solutions. Those numbing statistics tell only a part of the story. What surely matters most is why people are risking their lives and what our response should be. It is abundantly clear that populations will continue to haemorrhage unless we tackle the reasons for these vast displacements at source. Four of the countries generating the most migrants and refugees are Syria, Sudan, South Sudan and Eritrea. I shall use them to illustrate my point as I argue that the House should carefully consider the connection between our foreign affairs, defence and development policies, and their interplay with mass migration, a crisis that is compounded by climate change. I know that that is something that the noble Lord, Lord Lawson, who is in his place, is particularly interested in, but if climate change is happening this situation is only going to get worse. periods of time, reaching more civilians in need, might help to stem that flow of refugees. I would be grateful if the Minister would tell us what we are doing about that. Ministers have rightly argued that those responsible for Syria’s atrocities should be tried in the International Criminal Court, but have we taken that proposal back to the Security Council, which initially rejected it because of the vetoes of China and Russia? Today is the fourth anniversary of South Sudan’s independence, but there is little to celebrate. At a briefing this morning that my noble friend Lord Sandwich and I attended we were told that conflict there has generated more than 2 million displaced people and half a million refugees. “Eritreans are fleeing severe human rights violations in their country and are in need of international protection”. “Thousands of Eritreans are killed at sea while attempting to reach European shores. The practice of kidnapping migrating individuals, who are released on ransom after enduring horrible torture or killed, targets Eritreans in particular”. Noble Lords will have seen reports that some Christian Eritreans who reached Libya have been beheaded by ISIS, which it then publicised, with all its barbarity, on YouTube. Those Eritrean refugees who have been forced to return have then been arrested, detained and subjected to ill treatment and torture. So refugees from Eritrea, Sudan and Syria, comprising more than half the Mediterranean migrants, represent what we need to do—tackle the problem at source. Then we would turn the tables on mass migration, ending the tsunami of people. However, not all people fleeing their countries are refugees; some are economic migrants. We will not properly address this crisis without some bigger-picture policies aimed at them, which must include the aim of helping Africa become peaceful and prosperous, and therefore more attractive as a permanent home. This is where our development policies interplay with mass migration. “Under the International Convention for the Safety of Life at Sea, the government responsible for the Search and Rescue Region in which assistance to those in distress at sea has occurred has the primary responsibility for ensuring that survivors are disembarked at the most convenient place of safety, with minimum deviation for the rescuing vessel. The Italian Maritime Rescue Coordination Centre (IMRCC) manages all rescues in the Central Mediterranean area of operations. At present, those rescued in the Central Mediterranean are brought to shore in Italy, in ports determined by the IMRCC”. “To deny that responsibility is to threaten the very building blocks of the humanitarian system Europe worked so hard to build”. the policy of my own small NGO, the Humanitarian Aid Relief Trust—HART—to work with local, community-based organisations which can reach people who are trapped in these situations and which do not withdraw in times of danger and insecurity. We visit them regularly and have seen again and again how these organisations are highly effective at delivering aid to their people in greatest need. We receive comprehensive reports and are continually impressed by their accountability. These CBOs provide food, medical and educational supplies, and they are trusted by the local people. I hope, therefore, that Her Majesty’s Government and DfID will reconsider their position on working with such community-based organisations. In conclusion, perhaps I may highlight three priorities that are essentially similar for both countries and ask the Minister how Her Majesty’s Government are responding or will respond to these challenges. The first is the urgent need to end the impunity with which the army and the Government in both Burma and Sudan continue to perpetrate military offensives and human rights abuses against their own civilians: in Sudan in Darfur, Blue Nile and South Kordofan; and in Burma against the Rohingya, Shan and Kachin peoples. The second priority is the need for the international community to promote political solutions which will bring genuine peace and justice for all civilians. 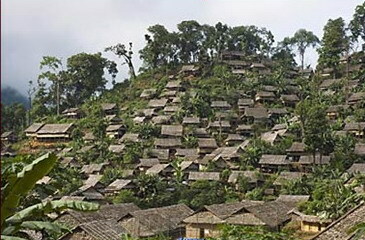 While Her Majesty’s Government are supporting the political process with regard to forthcoming elections in Burma, many ethnic national peoples fear that this will not bring justice for them. In Sudan, too, it is immensely hard for the people suffering there to see any effects of Her Majesty’s Government’s interventions to bring the Sudanese Government to account for their continuing genocidal policies in Darfur and the Two Areas. The third priority is the need for immediate, urgent short-term interventions to relieve the suffering of these displaced civilians, especially those trapped in areas where their Governments do not allow access to humanitarian aid. I sincerely hope that the Minister will be able to offer reassurance as to how the United Kingdom will contribute to the international community’s duty to protect these civilians, and provide life-saving humanitarian aid to the refugees and displaced people currently dying at the hands of their own Governments in Sudan and Burma. 3.01 pm Lord Marlesford (Con): My Lords, the House owes a debt of gratitude to the noble Lord, Lord Alton, for his continual fight on behalf of refugees. It is a particular privilege to follow the noble Baroness, Lady Cox. I believe that there is no more courageous Member of your Lordships’ House. Migration is a global challenge rather than an EU problem; that must mean that it is dealt with on a global basis. The forces for migration can never be removed until we live in a very different world. Conflict, chaos and persecution are the prime causes of the present migration crisis. We must continue to work on these causes, but underlying them all is the natural desire to migrate for economic benefits. That will not change. Most of the migration from sub-Saharan Africa is economic—especially, of course, from Nigeria, the largest of those countries. European Union have a strategy to work with north African leaders for stability, particularly in Libya and in north Africa as a whole? Lastly, I come to the point about multipurpose centres for migrants. I noticed that A European Agenda on Migration, produced in May, included a proposal for working in partnership with third countries to tackle migration upstream. There were two specific proposals: first, to support countries bearing the brunt of displaced refugees through regional development and protection programmes, starting in north Africa and in the Horn of Africa and building on what we have done in the Middle East; and, secondly, to introduce a pilot multipurpose centre, to be set up in Niger—not Libya—which will provide information, local protection, resettlement opportunities and advice to migrants. I understand there will be a summit conference between the EU and the African Union in Malta to discuss all this. I would be very grateful if the Minister could say what the Government’s policy is on each of these points. 3.15 pm Lord Desai (Lab): My Lords, first, I thank the noble Lord, Lord Alton, who not only has given us an opportunity to debate the issue but has done excellent work over many years on this problem. My comments follow from what the noble Lords, Lord Marlesford and Lord Luce, said. I believe that this is not just an African problem but, as the subject of the debate suggests, a problem in Asia as well. It is a global problem and it is not going to go away. It is a global problem because of climate change, state collapse, dictatorships, resource scarcity—whatever. There are a lot of these people, and I do not think it makes any difference whether we call them refugees, asylum seekers or migrants. We should not engage in cheese-paring about what they are and who we will accept. This problem not only is not going to go away but will be with us over the next decade or so. It is a consequence of globalisation. We all accept that capital can move anywhere it likes—why do we not want labour to move anywhere it likes? What is this? One or two things need to be said. Europe as a whole has gone anti-immigration—it is regrettable, but it has. When new Labour was in power, it had a most generous open-door policy of accepting migrants from the newer members of the European Union. In the last election, not a single party could be found which would actually say something positive about immigration. That is the situation, and we have to have a global solution. That means that the European Union, especially the members who are also permanent members of the Security Council—the UK and France—ought to move the United Nations and everybody else to seek a global solution to the refugee problem. I will use a 19th century example. In the last 30 years of the 19th century, one-third of the population of Europe moved to America—mainly to North America but also to South America. 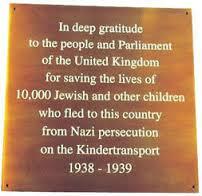 Some of them were facing persecution, especially those from the Polish borders and so on. There is the very famous episode of Tom Mann, the trade union leader, going to the dockside in London and saying to the incoming people on the ships, “Brothers, you are welcome here, but I wish you had not come”. That is our attitude to migrants. I believe that the global solution could be as follows, although it is rather Utopian. There are a number of countries in the world that are empty, for example a lot of those in central Asia such as Turkmenistan, Kazakhstan et cetera. The density of population in those places is sometimes fewer than 10 people per square kilometre, whereas ours in Europe is somewhere between 200 and 300 people. It seems to me to be a very good global solution to take people who want to leave their country for whatever reasons to countries that have room for them. Why should they take them? This is where we must use our resources to give incentives to the recipient countries to accept these people, train them and make them settle there. I know that it is wildly Utopian, but it is a very difficult problem to solve. However, if we could engineer over the next 10 years a transition of people from Africa, Asia or wherever they are to the relatively empty countries of Asia—I do not think that there are many other empty countries left—that could be a solution to this problem. The people will go on coming; they will not go away. It is quite legitimate that they should have the ambition to leave their poverty-stricken country and go somewhere better. It is not true that a Libyan or a Nigerian wants to stay in Libya or Nigeria for ever. North America would not have been settled if that were the case. So let us admit that people want and are willing to go to where they can get a better life. Our response should be that if we are not going to have them, for whatever reasons, we should find them a home where we can settle them and give resources both to them and the recipient country to make life better for everyone. That is the best I can do in my six minutes. 3.21 pm The Earl of Sandwich (CB): My Lords, it is always a great tonic to follow the noble Lord, Lord Desai. Alongside conflict, climate change and terrorism, and because of all these things, international migration has become one of the most acute problems of our time. At times, even in this debate, it seems insoluble. First, I acknowledge the extraordinary courage of aid workers and UN staff who work against the odds to bring water, food and sanitation to registered refugees and—this is often forgotten—to many others who are unregistered or displaced around the world. The UNHCR has been given the massive task of receiving these refugees and internally displaced persons—IDPs. 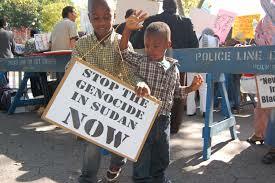 I will provide just one example from Sudan, which was mentioned by my noble friend. As he said, he and I were briefed by Oxfam only this morning on the fourth anniversary of South Sudan’s independence, for which we had such hopes. More than 4 million people there face severe food insecurity, largely as a result of the conflict that affects about 40% of this young country’s population. It has already made more than 1.5 million people homeless and caused another 500,000 to flee to neighbouring countries. 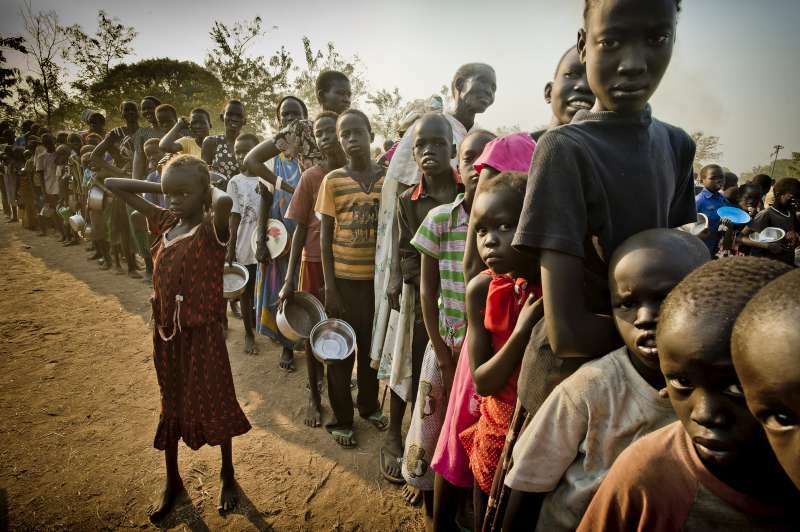 The UNHCR is frequently overwhelmed, as we saw many times in South Sudan last year—and in the north—not just by the numbers but by the UN itself becoming almost a party to the conflict, concealing victims from both sides of a racial and political divide. Palestine is another country where the UN mandate has made it almost impossible for UNRWA workers to remain independent. It is a paradox that aid workers the world over are trained to be neutral while inevitably they take the side of the victims. In the same spirit, we can imagine the Greek islanders, in the midst of their own economic struggles, opening their doors to thousands of Syrians—sometimes as many as their own population—as well as Eritreans, Somalis and even Afghans alongside their regular tourists and visitors. Most of these people melt away into other EU countries, somehow avoiding all Greek, Italian and FRONTEX reception centres on the mainland, making their way northwards towards healthier economies and prospects of greater security. It seems that up in the UK we have not yet grasped the urgency and scale of the problem. A large proportion of those crossing the Mediterranean, perhaps one-third, are escaping from conflict in Syria. It has lost 3.9 million people to Turkey, Jordan and Lebanon, leaving another 12.2 million in need of humanitarian assistance. We should make a particular effort to shelter more of these refugees in Europe—I know that we are doing a lot in Turkey and other countries—because this is a crisis of exceptional proportions. To take one example of what we can do, what is happening to the UK’s share of the UNHCR’s resettlement scheme? The Government are already receiving up to 750 refugees from different countries under the Gateway programme. More recently, they committed to providing a safe route for some hundreds of vulnerable Syrian refugees, selected because they are elderly, disabled or in some way victimised, who are given five years’ humanitarian protection status. This seems to be an admirable scheme—yet, as was mentioned, up to March only 183 had been resettled through this route. Perhaps the Minister could give us an up-to-date number and say what will happen next. The Government are often criticised for their poor response. They protest that more than 4,000 refugees have been granted asylum during the whole crisis and that large sums have been given to refugees in Turkey. Yet, as the noble Lord, Lord Maclennan, said, we do not match the generosity of other EU members such as, in this particular case, Germany and Sweden, and we hide behind the Dublin convention. This dictates that refugees belong in the countries of first asylum such as Spain, Italy and Greece. Is it time for this convention to be reviewed? The Government have done well to help rescue thousands of migrants from the ocean. Of course, the MoD is playing its part, and at its own expense. However, the Government also need to come out with new policies on migration. The only concern expressed so far is that welfare benefits must not act as a pull factor. That may be understandable: in the first debate today, we heard that the NHS may be unsustainable. Yet, to the extent that we are a healthy economy and a wealthy country, we will always be a pull factor and we also know that our economy benefits from migration. Other EU countries, whether they are in Schengen or not, need to know that we are taking our responsibilities seriously and not dumping them behind barbed wire in Calais. 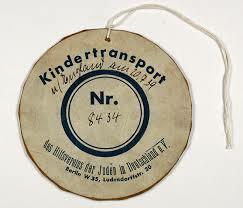 things that you made sacks out of. Sacks, of course, have gone. India, surprisingly enough, turned itself around in a relatively short time to become a major economy in the world, not simply relying upon simple raw materials. The Indian chart shows the growth of British power in India, and shows exactly when everything happened. We then take my third chart, showing south-east Asia, which again is a major boom area. The question is what we as a nation that understands these countries can do. In order to understand and plan for the future, as I say, we must determine the past, so it is worth looking at what was produced in those territories in those golden years. I turn therefore to one of my favourite topics: Sudan. An old friend of mine, Sir Douglas Dodds-Parker, unwittingly bullied me into taking him to Sudan, only to find that I got fascinated by it. I had forgotten about the Gezira scheme, which grew the best long staple cotton in the world, which could still be redeveloped because the water and land are still there, as are the children of families who knew how it worked. I had also forgotten about the vast quantities of grain that could be produced there. We created a project called Storex Sudan. We got the Chinese involved—I was going to say that we got into bed with them—because they had suddenly decided that they wanted to do development projects in Africa. The Chinese agreed that they would build a road to the port, bring in ships and unload them. If you have ever watched Chinese unloading things, it is fascinating: they put everything on their head, walk off the ship and unload quicker than one could do it with derricks and everything else. The thought was that in Sudan all we needed was an off-take agreement for the grain—the dura—and one for the cotton, and the same families would be back again in production. In Africa we have the same scenario in countries where this is the norm. If we as a country could just put on a piece of paper, “I promise to buy and pay the bearer on demand the sum of so much per tonne”, it is amazing how very quickly orders would come about. My thoughts in this debate are that it is an economic debate. We must of course look at the north coast of Africa. Let us think again. Why is everyone leaving when they have potential for development in their own country? Why are they taking a risk at sea when very few of them can swim? Who are these pirates who kidnap people onshore with offers of whatever it is, and why can they not be arrested? After all, this is effectively almost the theft of human souls. I feel very strongly about this and would like to see the United Kingdom play a lead here. We do not want people leaving their own country; we want them encouraged to stay there. We can cure all the problems of diseases and we can train people well. Assisting in effectively exporting modern-day slavery is something that I do not wish to be associated with. 3.45 pm Lord Griffiths of Burry Port (Lab): My Lords, I want to add my own words to others who have expressed gratitude to the noble Lord, Lord Alton, for bringing this important matter to our attention. to Eleanor Rathbone, and I hope that he will forgive me a moment of family pride. 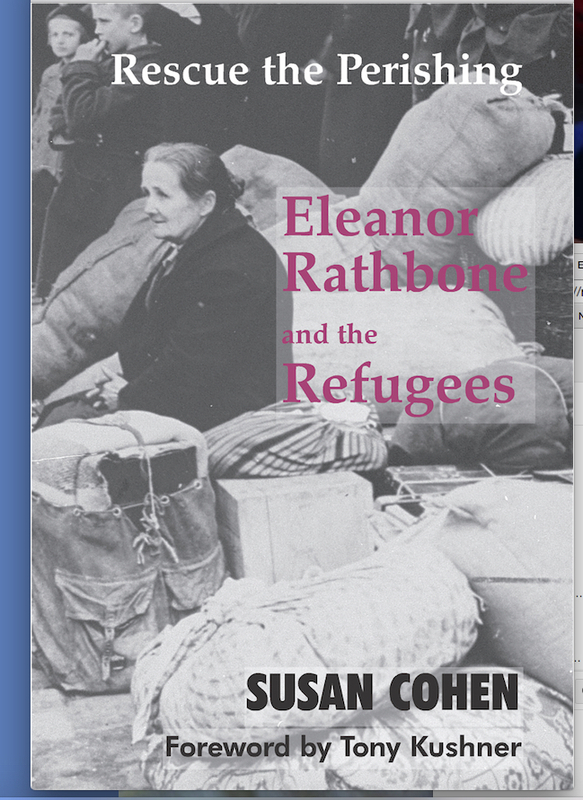 My father was vice-chair, with Eleanor Rathbone MP, of the National Joint Committee for Spanish Relief. He is always a hard act to follow, I am afraid. Some of your Lordships will have seen the obituary on 1 July of Sir Nicholas Winton—he may have been mentioned earlier in the debate. This good man saved the lives of 669 children from Prague. Shortly before the Second World War, he had been due to go on a skiing holiday but he decided that he needed to go to Prague. 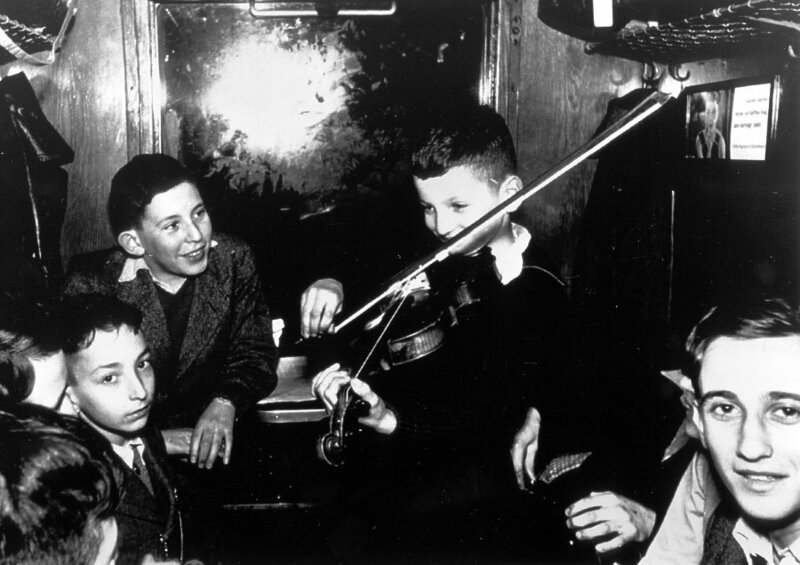 He arranged eight trains to take these children to safety and he arranged for families in this country to take them in. 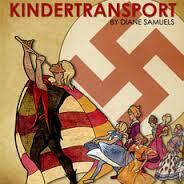 He always deeply regretted that the last train did not leave and that 250 children were left behind. His family did not learn of this until he was in his 80s, and he died at the age of 106. I thank the previous Government for their wisdom and humanity in having chosen to enshrine in law a 0.7% commitment to international development aid. Clearly, many of those involved in the migration that we are talking about are economic migrants but, equally, many of them are in flight from the developing world. It is obviously right to seek to support fragile nations so that they do not fall into conflict and so that we avoid the sorts of troubles that we face today, so I salute the Government for making that commitment. I hope that if any young people read this speech, they will also feel pride in their nation for taking a world leadership role by supporting mothers with midwives, by supporting the education of girls and by protecting children from malaria in the developing world. I hope they will feel proud that this nation is leading the world in this area. I should like to make one request to the Minister following what many of your Lordships have said. Will he think very seriously about committing to provide space for 1,500 unaccompanied asylum-seeking children in this country? I shall come back to that towards the end of my remarks. I should like to make one other observation. My father lived through two world wars. 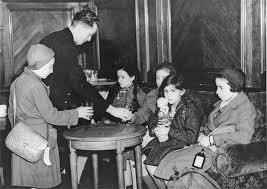 In the Second World War, my mother—whom I was speaking to at the weekend—returned to Croydon at the age of four or five. 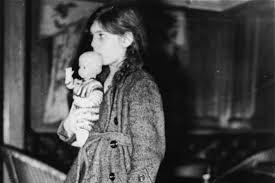 She had been evacuated but returned during the main part of the Blitz. A factory near the bottom of her garden was bombed and of course that was quite a horrific experience for her. It is quite remarkable that we have had peace in Europe since that time. My understanding is that to a large degree that is due to the solidarity of the European Union. Members of the EU are committed to each other and have built strong trade partnerships, and that has helped to give us this long period of peace. Therefore, I agree with the noble Lord, Lord Luce, and the noble and right reverend Lord, Lord Harries, that it is in our strong self-interest as a nation to be an active and committed member of the European Union and to show solidarity with our allies in Europe: we are stronger together than we are disunited. One might say that Adolf Hitler did not die. There is always a new Hitler, and we are always stronger when we stand together against such people. “LGBT asylum-seekers may be asked to provide sexually explicit photographs or videos … to ‘prove’ their homosexuality”. “When I arrived in Kent I didn’t speak English. [I was given] a piece of paper with writing in so many different languages. I found my language on there and pointed to it, and that’s how they knew that I was from Afghanistan … I was amazed when I saw so many languages. It made me realise there were other people like me. And I thought that this must be such a good country, if it is helping all these different people”. “Trauma, the vulnerability that comes from being [a child] separated from their parents, and the expectation of making money to send back home”. “I am lost. I have nowhere to go. I can’t go forward, and I can’t go back I am worse than an animal in a cage”. “London is like a desert to me. I don’t speak the language. I don’t have any contacts. I am alone. Like in a desert, but filled with people around me”. 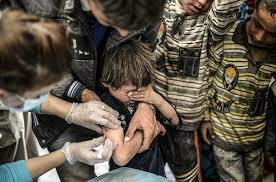 “I am lost here, my life is in Syria. I was forced to leave. But Britain has been like a caring mother to me, and has given me everything. Britain has given me rights again. Britain is educating me. I am grateful”. “The most difficult thing here is the miss for the country, the family, and the friends, and really it is very hard when you hear that one of your best friends is dead and this happened with me more than ten times. 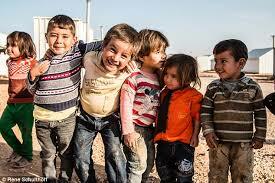 I want to say thanks for the British people and for British government to receive us and to give us the support to survive and complete our life but in same time you should to know that about one million of the Syrian has same my situation and they need your support and help. The first rule in my life is you can achieve your dream when you trust with yourself”. emphasised that those people fleeing to Europe across the Mediterranean were being driven—pushed—to attempt these journeys, highlighting failed states and people smugglers as the drivers. However, what he failed to mention, which we have heard in this debate, is the persistent and widespread human rights abuses directed at their people by brutal regimes such as Eritrea, and the unsustainable demands being made on countries such as Jordan and Lebanon in trying to accommodate refugee populations. UK Ministers, as highlighted by James Brokenshire’s remarks, suggest that resolving the Mediterranean crisis is dependent on breaking a mythical link between boarding a boat and settling in Europe. However, as we have heard, the great majority of those attempting the Mediterranean crossing set off from Libya, a country experiencing a vicious internal conflict. Refugees and migrants have suffered appalling abuses. The contention that these immigrants are “economic migrants”, rather than desperate victims of human catastrophe, is inaccurate and alarming. If we are to have an honest debate, we need strongly to challenge this contention. António Guterres, the UN refugee chief, stressed that most of those attempting the journey are not economic migrants: a third came from Syria, while people fleeing violence in Afghanistan and Eritrea’s repressive regime each made up 12%. Other countries of origin include Somalia, Nigeria, Iraq and Sudan. The British people, who are understandably concerned about levels of migration, are more anxious about human decency when confronted with the facts. My right honourable friend Yvette Cooper said that we should decouple asylum from migration targets. It skews the debate and frames an issue of decency in the context of political expediency. Refugees should be removed from the net migration target. Our aim should be an integrated development, defence, foreign and home policy that recognises that the global challenges we face are interconnected. It is therefore a matter of concern that the Department for International Development has been excluded from a number of cross-Whitehall committees, including the National Security Council and the immigration task force. That represents further isolation and fading influence. We were once a nation that was proud to offer a place of sanctuary for people fleeing horrific rights abuses worldwide, but the Government’s deliberate retreat from the world stage has put our reputation at risk. The UK must stand up for the world’s least wanted people, but we must do so in a manner based on sound principles and which requires consensus. It is a debate whose urgency cannot be underestimated. 4.27 pm The Earl of Courtown (Con): My Lords, I thank the noble Lord, Lord Alton, for securing the debate. I commend him on his long-standing engagement on international development and foreign policy issues. I also congratulate all noble Lords who have taken part in the debate, which had a particularly impressive speakers list. I shall try to answer all the questions that have been posed. If I fail to, because I am very pressed for time, I shall write to noble Lords and put copies in the Library. As other noble Lords have said, we have all been shocked by the plight of migrants dying on an unprecedented scale on boats in the Mediterranean and in the Andaman Sea. 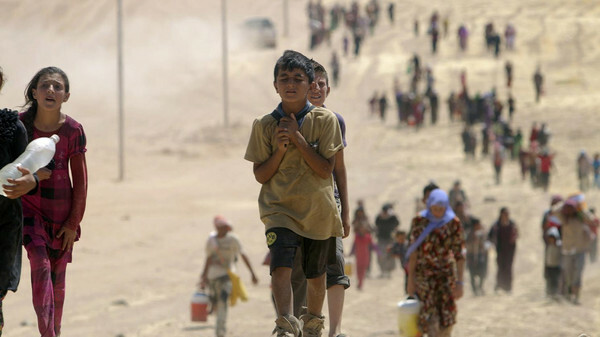 People are fleeing war, violence and deep-rooted poverty. The collapse of authority in Libya has meant a huge increase in numbers coming through the central Mediterranean. Addressing these issues requires a complex and far-sighted response. At a special meeting of the European Council in April, it was agreed that we had to act to address the humanitarian tragedy unfolding before us. At that point, the UK contributed HMS “Bulwark”—to which tribute was paid by the noble Lord, Lord Alton, and other noble Lords—to support the Italian rescue effort. She has rescued more than 4,700 people from sinking boats that have set off from Libya. We have also provided two Border Force cutters to support the search and rescue operations, and to date they have rescued some further 450 people. In total, UK vessels have rescued more than 5,000 people from drowning. But we also agreed that we could not resolve this crisis without a long-term comprehensive approach. This is where we need to work together across Europe to tackle the drivers of this migration. The noble Lords, Lord Collins and Lord Alton, the noble Baroness, Lady Kinnock, the noble and right reverend Lord, Lord Harries of Pentregarth, and many other noble Lords expressed their concern about HMS “Bulwark” returning home and being replaced by HMS “Enterprise”. We have always been clear that to tackle the migrant crisis we need a comprehensive plan in going after the criminal gangs, smugglers and the owners of the boats, potentially taking action there as well, and stabilising the countries from which these people are coming. So it is right that we now move to the next stage under the CSDP’s mission. As a multirole survey ship, HMS “Enterprise”, as mentioned by the noble and right reverend Lord, Lord Harries, is well placed to assist in this phase of the operation, particularly given its additional intelligence-gathering capability. We can do this now because other European partners are stepping in with contributions to the CSDP operation. The noble Lord, Lord Collins, suggested that our United Kingdom contribution was decreasing. This is not the case. As well as HMS “Enterprise”, there is another helicopter attached to this operation and two Border Force cutters—HMC “Protector” and HMC “Seeker”—are aiding FRONTEX’s Operation Triton. In addition, we have contributed a further five defence personnel to the multinational operational headquarters in Rome, which is crucial to establishing the CSDP mission. 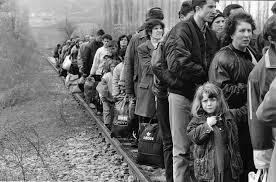 The urge to migrate and to seek a better life is a natural human instinct. It is part of a broader process of global change and development and a route out of poverty for millions. However, we must seek to manage irregular migration in a rational way, addressing its root causes as well as its short-term impact. Some people will be fleeing war and persecution, others are economic migrants seeking a better life. We need to make a distinction between these to ensure we address the root causes of this migration. In the short term, we are providing humanitarian support to refugees and displaced people across the world. The Government have just provided a new humanitarian package of support, with an additional £100 million pledge to Syria, taking our public commitment to £900 million to date. This is our largest-ever response to a humanitarian crisis and makes the UK the world’s second-largest bilateral donor to the Syria crisis. It is providing food, clean water, medical care and other essential aid that is helping hundreds of thousands of people in Syria and its neighbouring countries and is having a big impact on reducing people’s need to flee the region. The Government have also just announced an additional £217 million to Africa to provide support to more than 2 million refugees who are displaced across the region. There is also a new £110 million programme for work in the Horn of Africa, with a focus on refugees in Ethiopia and Sudan. The UK is now the second-largest bilateral donor in the Horn of Africa in providing humanitarian support for displaced populations. As the noble Lord, Lord Alton, and the noble Baroness, Lady Kinnock, said, on the other side of the world, Rohingya refugees have fled their homes in north-west Burma. The United Kingdom is one of the largest donors in Burma, providing £18 million in humanitarian assistance since 2012 to Rakhine State, from where many of the Burmese Rohingya found on boats in the Andaman Sea originate. We are also tackling the networks that lie behind people-smuggling. This form of illegal migration funds organised crime and undermines fair immigration controls by allowing economic migrants uncontrolled access to our countries. This emphasises the importance of our supporting the creation of a credible national Government in Libya who can work with us to secure its coastline. We must also develop a much richer picture of how these networks are exploiting people, so that we can disrupt them. The Government are establishing a dedicated law enforcement team to tackle the threat posed by illegal immigration from north Africa, in light of the surge in numbers crossing the Mediterranean. This will bring together officers from the National Crime Agency, Border Force, Immigration Enforcement and the Crown Prosecution Service, with the task of relentlessly pursuing and disrupting organised crime groups profiting from the people-smuggling trade. We will work with our international partners to identify organised crime groups smuggling migrants to the Libyan coast; illuminate the routes and methods the smugglers use; and understand the money flows. These insights will be shared with our partners to disrupt those orchestrating the smuggling. At the same time, we must be clear that we will meet our obligations to provide refuge for the most vulnerable. The United Kingdom already participates in the United Nations programme to resettle refugees who have fled from their home countries, including those affected by conflict or civil war. We also set up our own scheme for particularly vulnerable people fleeing the conflict in Syria, including women and children at risk who could not be protected in the region. However, these are only short-term measures. These scenes demonstrate how working with developing countries not only matters to them but, more than ever before, matters to us too. We must work together to tackle this issue upstream at source, as mentioned by the noble Lord, Lord Griffiths of Burry Port. In the long term, development assistance addresses the root causes of instability and insecurity, reducing inequality and providing economic opportunities for all. This helps to build more effective states and societies, reducing some of the pressures to migrate. Finding the means to support stability, prosperity and opportunity means a more stable and prosperous world for us all. The United Kingdom is already refocusing its own efforts. Despite the difficult economic times, Britain has kept its commitment to spend 0.7% of GDP on aid. The United Kingdom will spend over £4 billion on bilateral and multilateral development assistance in Africa this financial year. Of this, £725 million will go bilaterally on development programmes to key source and transit countries for irregular migrants in the Horn of Africa and east Africa. We will also spend £280 million bilaterally on governance and security, building state capacity to achieve stability, peace and respect for human rights; and £540 million will be spent bilaterally on economic development, including a strong focus on jobs and urban youth populations, particularly relevant in areas of the Horn of Africa. We are supporting the cross-government effort, including the £1 billion Conflict, Stability and Security Fund, which seeks to deliver longer-term peaceful political settlements—ultimately the best tool for reducing flows of irregular migration into the European Union from countries in the Middle East and north African region. At the Department for International Development we have already refocused our priorities to be more on jobs and livelihoods than ever before. Through United Kingdom aid we are investing a total of £1.8 billion globally on economic development this financial year, more than doubling the direct amount spent in 2012-13. This refocusing of our programme will take time to have an impact on the current migration trends. A number of noble Lords have mentioned the recent debate in the Moses Room, which my noble friend Lord Bates responded to on behalf of the Government. He has been pleased to write to all Ministers in this House from the Ministry of Defence, the Home Office—that is himself, of course—the Department for International Development and the Foreign and Commonwealth Office, so that all the Ministers in the Lords will be able to discuss these matters among themselves, and I will be taking part in these discussions as well. The noble Baroness, Lady Kinnock, and the noble Lords, Lord Alton and Lord Collins, went further on the problems facing the Rohingya people. The United Kingdom has taken action at ministerial level by raising the issue with the Burmese ambassador in London. We are issuing a joint demarche, with the US and the EU, to Ministers in Burma, and we are lobbying ASEAN member states Thailand, Indonesia and Malaysia not to turn away boats in distress. On 29 May, we participated in the Thai international co-ordination meeting as an observer. We call on all parties in Burma to address the dire situation of the Rohingya community in Rakhine state. We want to see improved humanitarian access, greater security and accountability, and a sustainable solution on citizenship. The noble Lord, Lord Alton, and my noble friends Lord Marlesford and Lord Higgins all mentioned the issue of safe havens. The scale of the present situation requires ambitious thinking. We must contemplate difficult decisions to help break the link between getting on a boat in north Africa and being allowed to enter and remain in Europe. Our colleagues in Spain have valuable experience in doing exactly this when migrants arrived in their thousands in the Canary Islands. We can learn important lessons from them, but we will be urging the EU to look to create safe zones in transit countries where illegal migrants could remain, or to which those who end up in Europe and who do not require asylum could be returned when it becomes difficult to send them home directly. For this reason, the United Kingdom is very interested in the proposal by the European Commission for a multipurpose centre in Niger. We have joined the informal working group to develop this and will be pressing for the level of ambition to reflect the need to fundamentally change the current patterns of illegal migration to the European Union. My noble friend Lord Higgins mentioned the situation in Calais. We recognise that we need to do more with our French counterparts to tackle the issue. My right honourable friend the Home Secretary and the French Interior Minister, Bernard Cazeneuve, set out a number of commitments in a joint declaration published last September to tackle the problems at the port. The declaration included £12 million from the UK Government towards upgrading the security infrastructure at Calais and other juxtaposed ports. The noble Baroness, Lady Kinnock, also mentioned asylum. 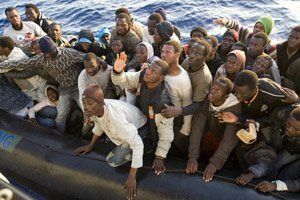 The majority of illegal immigrants to Italy come from countries such as Nigeria, Ghana and Senegal where the drivers for emigration tend to be more economic rather than fear of persecution. My noble friend Lord Higgins asked what the European Union is doing. 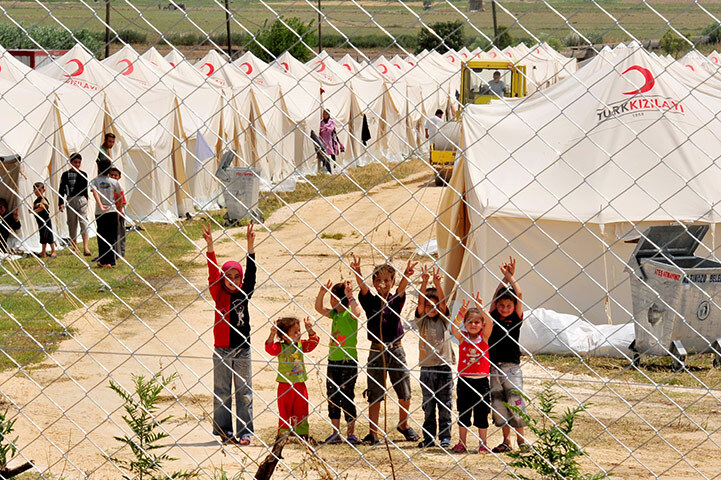 The EU needs to do more to ensure that it is taking a lead role in responding to this crisis. As the noble Lord, Lord Luce, said, working closely with the African Union is vital, and I welcome the proposed summit that is to take place in Valletta in the autumn. A number of noble Lords, including the noble Lord, Lord Griffiths, and the noble Baroness, Lady Kinnock, mentioned the human rights situation in Eritrea. The UK will continue to press Eritrea to improve its human rights record through a range of channels, including through our engagement with multilateral partners on their programmes. The root causes of migration from Eritrea are complex. They are driven by a mix of economic, social, political and other factors, but the opportunity for economic development is clearly a contributing factor that is clearly influencing people’s decisions to migrate. The noble Lord, Lord Maclennan, asked about resettlement. We have been clear that the United Kingdom will not sign up to a compulsory European Union quota system which risks undermining control of our own borders and the UK asylum system. However, I am proud of this country’s record for resettling refugees. In the past five years we have resettled more than 5,000 people, second only to Sweden in the European Union. North Korean who had been tortured, imprisoned and forced to scavenge on the streets. He escaped from a country where 200,000 are in concentration camps. After being given asylum in the UK and having had two years in a UK university, yesterday Timothy received British citizenship. His greatest desire is to use that freedom and education to return to his own country and help to rebuild it. That is the greatest longing of most refugees and I hope that today’s important debate will give encouragement to those such as Timothy who read it. I reiterate my thanks to all noble Lords who have taken part. Motion agreed. ———————————————————————————————————————————————————– http://www.publications.parliament.uk/pa/ld201516/ldhansrd/text/150709-0002.htm#15070961000823 Also see – July 9th 2015 report -Syrian Christians Saved Amid Refugee Crisis http://news.sky.com/story/1515863/syrian-christians-saved-amid-refugee-crisis More than 200 Syrian Christian are selected for resettlement in Belgium, amid warnings that many more refugees are fleeing to “dire conditions”. And a response from Timothy…. It is my gratitude to read your speech in the House of Lords today particularly with the major refugee issues around world now. This is such inspiration when I think about these issues and questions from the news – especially having experienced life in this way. I am increasingly concerned in terms of human lives. Whenever I watch the news or hear about these refugees or asylum stories, and hear questions like ‘how many people have died while crossing the Mediterranean’ or, examples of treaties, regulations, norms and principles in the international communities, such as UN, EU, World Bank, IMF, etc, yet I wonder why they are having such weak implementation. All these issues, particularly with increasing number of refugees/asylum seekers across the world, not just UK, but the world, means we must rise up and face up to the need to find solutions to the situation today. I think if we continue to ignore the major issues of refugees and asylum seekers, and failed to change the political climate, we could possibly bring another world disaster, even more disastrous than what we had in the past century. I believe this is my own commitment to the future… While there was passion in your speech yet, also encouragement and I found that you referred to my great news to having British citizenship. 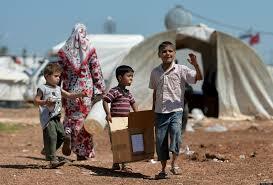 It is hard to avoid with my joyful news while others loose their lives in seeking better countries and a better life. I will not be waste this privileged opportunity and will continue to fight against those who want to destroy our beloved freedom and liberty.